Getting ready for the Christmas season! 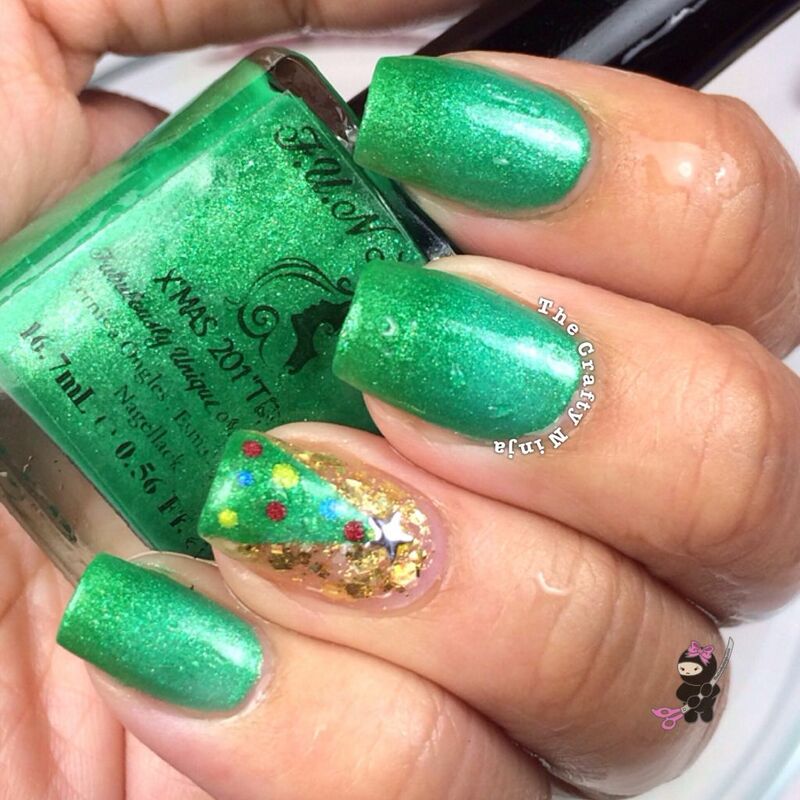 F.U.N Lacquer has created their Christmas 2013 Collection which represents the Chirstmas sprit! 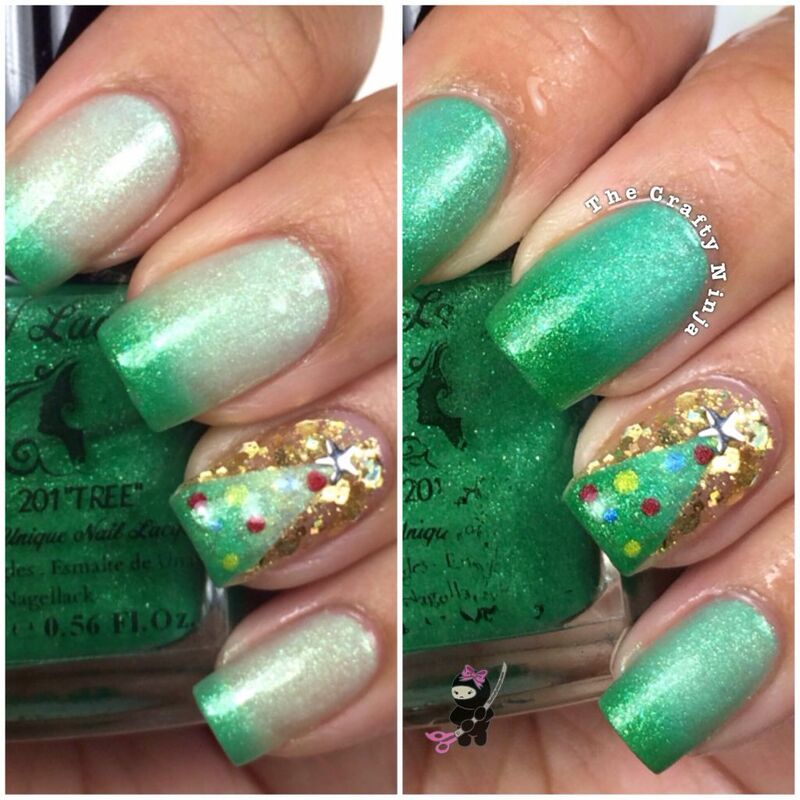 I am swatching thermal or color changing nail polish X’Mas 201Tree and created a Christmas Tree Nail design inspired by the nail polish. 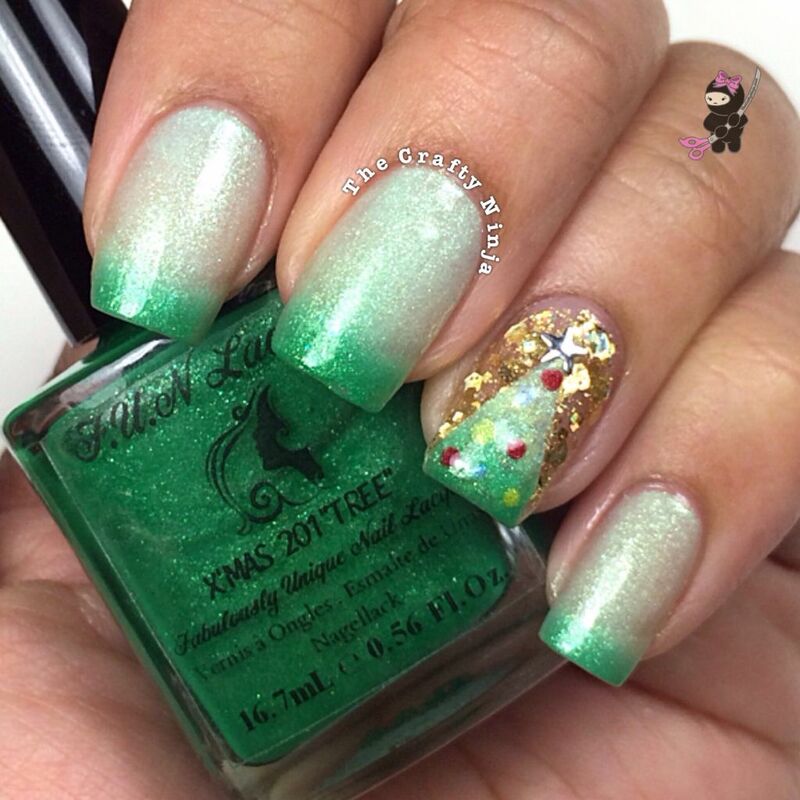 This nail polish is green inside the bottle but once it is applied to your nails it turns into a snowy light pastel green, once dipped in cold water back to a bright green. I applied four thins coats to get full coverage. On my accent nail I swatched Gold Mark, which is a beautiful glitterly top coat. 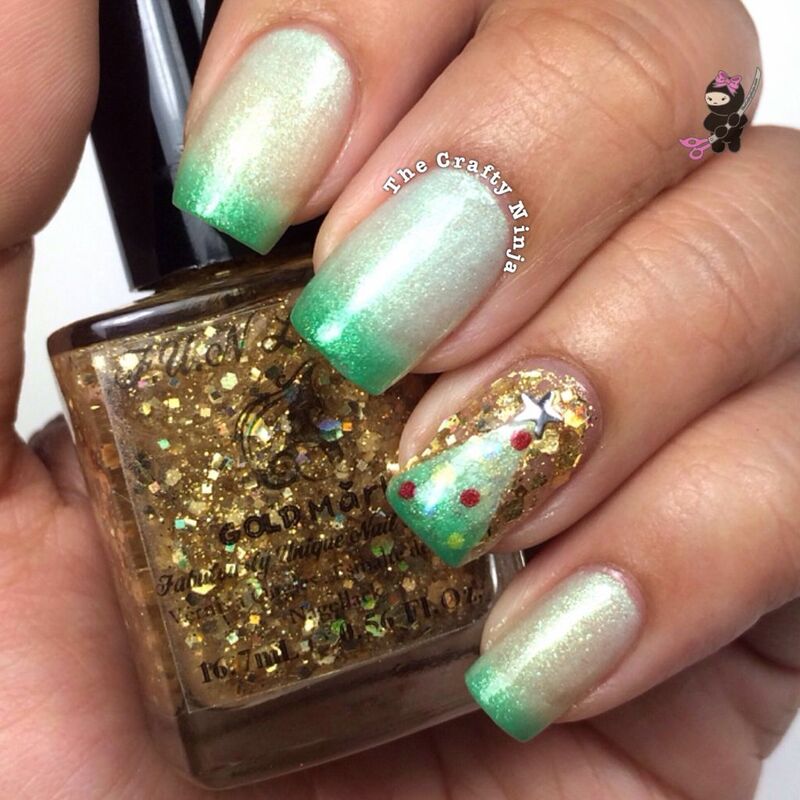 Both nail polishes are from the Christmas 2013 Collection, be sure to check out their store StoreEnvy and Etsy. The nail striping tape, bent tweezers, and star studs are from Winstonia Store. Color changing thermal polish after my nails have been dipped into cold water. On my accent nail the base color is Gold Mark by F.U.N Lacquer.